The Mental health implementation framework sets out what organisations can do to make the 6 high-level outcomes of the mental health strategy No Health without Mental Health a reality. 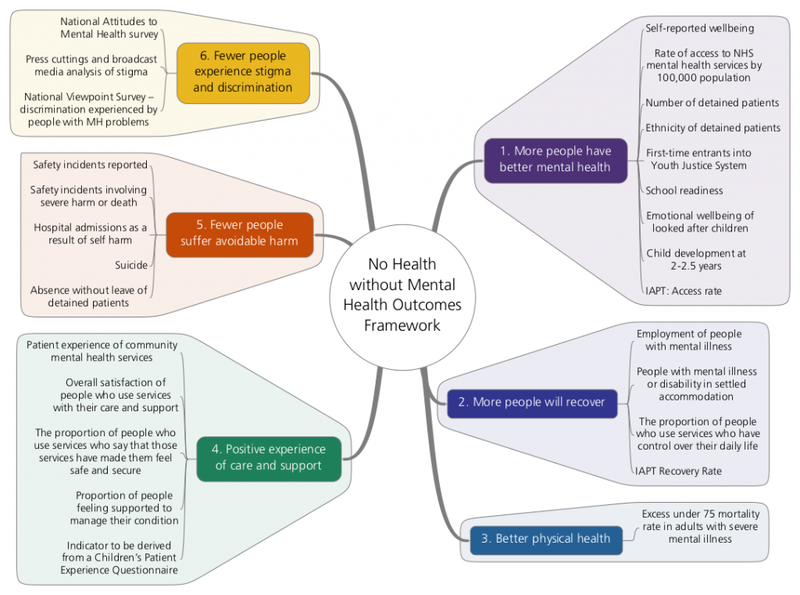 The diagram below shows the 6 high-level outcomes of the mental health strategy and the corresponding measures and indicators. Click on it to view a larger version.